Life is tough for you right now. Your life has not turned out the way you envisioned. Things have gotten contentious and uncertain. You need help getting through this rough patch in your life. Regardless of the type of family law problem you are struggling with, whether you are going through a divorce, going through a custody battle, facing a domestic violence problem, or having an issue with child or spousal support, you are going through a difficult and uncertain time. There is great stress associated with not knowing what the future holds. We all want to be able to plan for our future. The bible verse written on our wall is, “All things work together for good for those who love God” (Romans 8:28). For us, this represents the transformation we see in our clients over the course of their case. When you first walk into our office, you will be scared, full of mistrust, and in pain. The sign is there to remind you that no matter what hardships you are experiencing in your life, there is a better life waiting for you. The Lord is allowing you to go through this trial in order help you to deepen your trust in him. If you let him, He will shower you with a multitude of blessings at the end of this ordeal. We want you to always remember that God will take whatever is broken in your life and turns it into something beautiful. We realize you are going through a rough time in your life and are in need of kindness and a helping hand. Having a family law problem is one of the most stressful things you will experience. We know that you are taking a leap of faith by trusting us. Whether your marriage is breaking up or you are unable to co-parent for the sake of your children, you and your family need to be properly represented and guided. You need a capable and confident advocate who will take the time to listen to your concerns and help you with important strategic decisions. You need someone who can help you negotiate a fair settlement when possible and litigate for you aggressively when settlement is not in your best interest. You need to be protected, and your children need to be protected, as well. We have helped countless people like you with all issues surrounding divorce, domestic violence, custody and support. 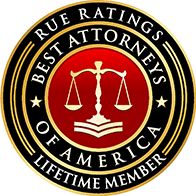 If you are in need of a good family law attorney, look no further. You have found us. Now all you need to do is pick up the phone all call. Family Law involves complex legal issues. A good family law attorney is a tough negotiator, a fierce protector and a feared litigator. A great family law attorney is also a good listener. You were created by God as a special and unique person. For this reason, no two people have the exact same legal problem. Although we have helped thousands of people over the years, your story is different. Our extensive legal experience has taught us that the best way to help our clients is to listen. Not only does it make us more effective, we know that your future is scary right now and you need a little compassion from someone who is unbiased and non-judgmental. We realize you do not want to be in this legal situation. For whatever reason, you need to enlist the help of a skilled legal professional. Your life has somehow gotten out of control. Whatever your family law problem, our focus is always to help you to solve your problem so you can begin moving forward. Whatever legal problem you bring us, we will leverage our extensive legal expertise in order to bring you the best possible results. We understand you do not want to be taken advantage of, especially by your attorney. If we make you a promise, we keep it. Integrity matters; so does trust and honesty. We work for you. We never forget it. We believe that every person who walks through our office door was sent to us by the Lord. We believe that it is our mission to not only protect your legal rights, but also to shine the light of Christ and provide you with hope. Your faith may have been rattled by whatever you are going through. We will pray for you and your family. We will encourage you to renew your trust and hope. You need a great lawyer, but you also need someone an ear to listen, someone that understands what you are going through, and someone to calm your fears. You and your family matter. Things may be rough for you at the moment, but we will help you put the pieces back together. An amazing future is out there, waiting for you. You just need to get past this personal challenge in order to reach it. Uncontested Divorce – If you and your spouse have a divorce agreement, we can make sure that the divorce papers are done right. Military Divorce – If you or your spouse are in the military, special laws apply. Know your rights. Divorce Mediation – If you and your spouse are open to compromise, you may be able to negotiate a divorce settlement through mediation. Divorce involving Businesses or Corporations – If you or your spouse own a business, you may need to employ experts before you are able to reach a fair agreement. High Asset Divorce – If you or your spouse have many assets, your property settlement may be extremely complex. 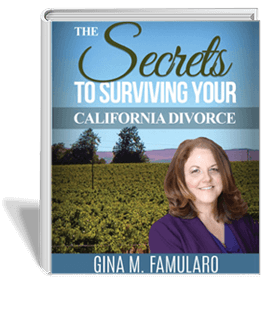 Celebrity Divorce – If you or your spouse are public figures, including an athlete, musician or actor, you need protection of your privacy and assets. Indian Divorce – If you or your spouse receive per capita income, it may affect how your property divided. Paternity Cases – If you and your spouse were never married, you need orders about custody, visitation and child support. Child Support – We can help you establish or modify a child support order. We can also help collect past due support, enforce a current child support order, and establish child support arrears. Child Custody – We can help establish or modify a custody and visitation order, litigate a custody case where supervised visitation order is involved, help in child custody evaluations, or conduct trials in custody battles and move away cases. Domestic Violence Restraining Orders – If there has been violence in your relationship, you, we have experience obtaining restraining orders and defending against them. Guardianships – We can help you obtain a guardianship, defend against one, or ask that one be terminated. Termination of Parental Rights – We can help protect your parental rights. Step-Parent Adoptions – We will help you adopt your step-child. Civil Harassment Restraining Orders – If a friend, neighbor, acquaintance or coworker is threatening you or harassing you, we can get you protection. You need the very best when it comes to protecting you and your family. 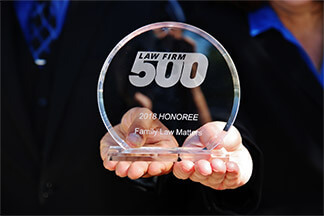 Our team of family law attorneys and paralegals have been hand-picked for their skill and expertise. Not only are they the best there is in Riverside and San Diego counties, they are genuinely nice, caring people. You need someone who can navigate the web of legal issues and tell your story to the judge in a manner he or she will listen. Do not leave your legal problem to chance. Representing yourself can lead to disastrous results. So can hiring the wrong attorney. When it comes to protecting you and your family, do not settle for anything less than the best. Do yourself a favor, do not gamble on the outcome of you and your family’s future. At Family Law Matters, we protect you and your loved ones using Christian principles. Call us now and let us help. Hello, my name is Gina M. Famularo. Since 1997, I have helped thousands of people in pain. I know when you walk into my office you are scared and worried. It is my job to be your adviser, your advocate and your confidant. That’s what makes me the best divorce lawyer. I am a strong believer that things happen for a reason. God placed me in your path and you in mine for a reason. In my office, we do more than use our gentle skill to solve problems-we listen. I know your story will touch our lives and we hope to make a difference in yours. If you need a family law attorney in Temecula, CA or the surrounding areas, please give us a call. We are here when you need us.